CSM Sport & Entertainment is pleased to announce the acquisition of a selection of mass participation events, previously managed by TriSport. This strategic acquisition allows CSM to build a portfolio of inspirational events with a simple mission; to deliver outstanding events and experiences. In addition to enhancing the existing event experience, the plan is to further grow the events in size, bring like-minded partners and brands on board, and create some new events on the Trail Running and Mountain Biking calendar. The first event run by CSM will be the SOX Trail Run taking place from 9-11 August 2019 in the Western Cape. The SOX Trail Run is widely considered as the most diverse 3-day trail run in South Africa with the majority of the race taking place on SANParks-protected property along the south-eastern Cape coast. The route covers mountains, indigenous forests as well as the Garden Route’s magnificent coastline. The race village for the 2019 SOX Trail Run will be the SANParks Ebb & Flow Rest Camp in Wilderness. The SOX Trail Run offers race options for trail runners of all levels with the SOX FULL (75km), SOX SPORT (56km) and SOX LITE (30km). Last year, more than 300 entries were received with many first-timers choosing the SOX SPORT – an option that offers the same experience as the SOX FULL but with less distance. The SOX Trail Run features three unique routes. 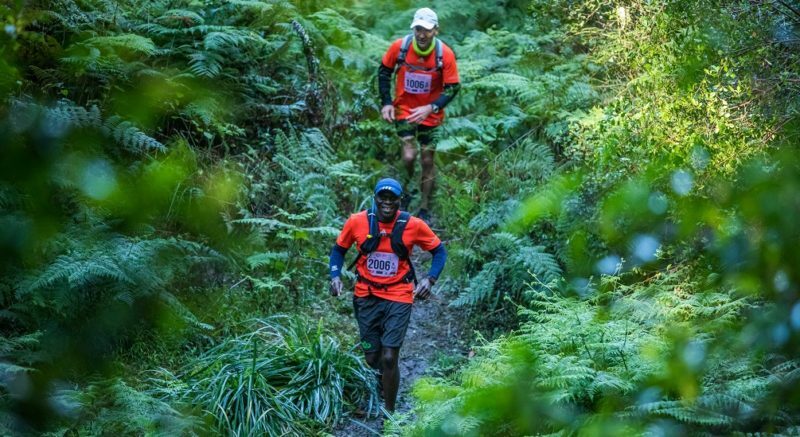 On day 1 athletes will find themselves running on a single track in the Outeniqua mountains; day 2 consists of trails through the indigenous Knysna forest, while day 3 includes a rugged “on-the-edge” coastline run finishing off with what has become a highlight of the race – a floating bridge across the Touw River. Brand new in 2019 is the Kids Zone where athletes will be able to drop off their kids (between the ages of 5-16) to be entertained while they are on the trails or enjoying some time off after the run. Kids will be treated to fun activities and looked after by qualified childminders in a dedicated area. Pre-entries for the event will close 24 July 2019. Enter online on the SOX Trail Run website. Sonja Otto from TriSport explained why they chose to work with CSM: “We established some great events such as SOX Trail Run, Oyster Catcher Trail Run, Trail and Bike Girl, Outeniqua Quest, Trans Gouritz MTB, and many more. We knew that for TriSport to reach its true potential we would need to partner with a well-established and very credible global business. We are therefore very excited to be part of CSM Sport and Entertainment and we are looking forward to continuing to build on the events above and take them to the next level to ensure our events become a must do for all athletes each year”. For more information about the events or the acquisition, please contact Stephan Weyers (Stephan.weyers@csm.com). CSM, part of Chime Communications, brings together leading industry experts to offer the full range of services across sport and entertainment marketing. Working with brands, rights owners and live experiences, CSM exists to create impact through challenging convention. This happens because of the organisation’s shared belief that great minds don’t always think alike. CSM, across 26 offices in 19 countries, is made up of 1,000 entrepreneurial people who are empowered to put their hand up and challenge convention in everything they do. The organisation is led by CEO Matt Vandrau and is supported in the leadership team by company Chairman, Lord Sebastian Coe, and Deputy Chairman, Jim Glover.